Proponents of modern Western medicine often discount traditional healing techniques as some form of sorcery, snake oil, and a dangerous con. On the other end of the spectrum, staunch supporters of natural healing methods or traditional Chinese medicine often look down on Western medicine. So…who’s right? Last month, a 26-year-old Chinese actress named Xu Ting died of lymphoma, a type of cancer that attacks the immune system. After her diagnosis, Xu elected to use traditional Chinese medicine in an attempt to cure her condition, rejecting chemotherapy, a common Western form of cancer treatment. Her choice to go with techniques like cupping, acupuncture, back stretching, and gua sha—a method where skin is scraped to produce light bruising—may have allowed the cancer to progress more rapidly. There is very little scientific evidence to suggest the efficacy of these practices to treat or cure cancer. Chemotherapy is scary, there’s no doubt about it. Xu mentioned that she’d seen people she knew suffer from chemo and become unrecognizable while at the same time levying a heavy financial burden. She eventually did decide to turn to chemo, but it was too late. Her choices remind me very much of those made by Steve Jobs, one of the founders of Apple. When he was diagnosed with pancreatic cancer, he too chose natural healing and alternative treatment methods. By the time he decided to move to Western treatments, the disease had progressed too far and there was little hope for improvement. In his biography, Steve Jobs, Walter Isaacson writes that the entrepreneur acknowledged that he should have gone for modern treatments much earlier. So…Can Traditional and Western Medicine Coexist? I’d say the only way to effectively manage your health is to use Western and natural medicine in a complementary fashion. 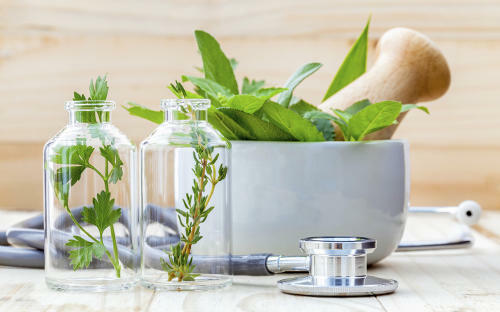 Natural and traditional medicines can help you prevent or treat mind conditions or manage chronic conditions like joint pain while Western medicine is better for treating serious conditions, like cancer. Sometimes surgeries and treatments like chemo are your best options. They may cause major disruptions to your daily life and cause increased short-term pain, but when it’s complete, you may have a better chance of survival. However, you can also choose to complement your use of Western therapies with alternative therapies to maximize the health benefits of your regime. Ultimately, it depends on your goals and what kind of condition you have. Using each form of treatment has its benefits and using both can be even more beneficial in some cases; at the end of the day, it’s best to discuss all of your options with your own doctor to find the best fit for your particular situation.